1 What is a wheelchair footrest? 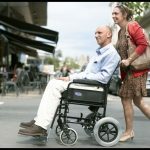 2 Why is the wheelchair footrest so important? 4 How does the Wheelchair footrest promote good posture? What is a wheelchair footrest? There are a few common types of foot support for a wheelchair, the two most common being a footrest and a leg rest. The wheelchair footrest consists of a hanger which attaches to the wheelchair and can be unclipped to swing away from the foot space to allow the user to stand, and a plate on which the wheelchair user can rest their feet/foot. Footrests are however the most common and despite often being considered as rather basic they play an essential role for the wheelchair user. 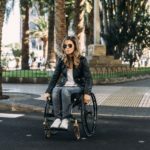 Why is the wheelchair footrest so important? 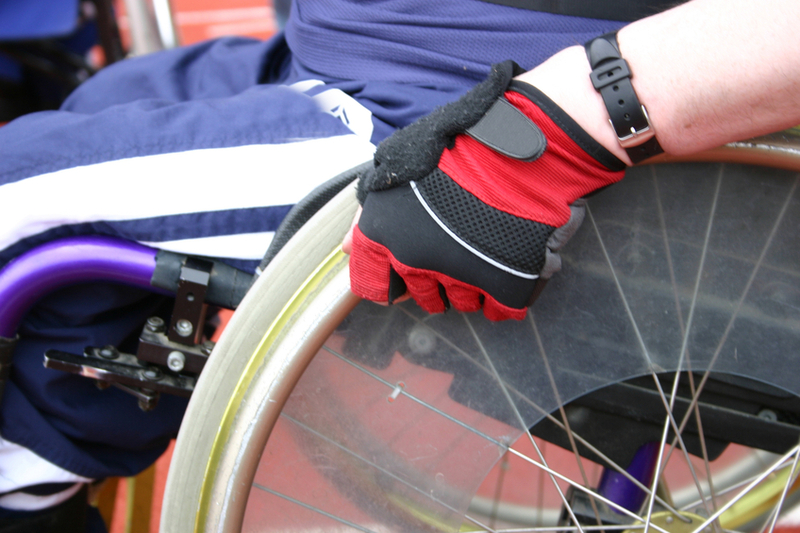 Proper support of the feet is essential to ensure the comfort of the wheelchair user. 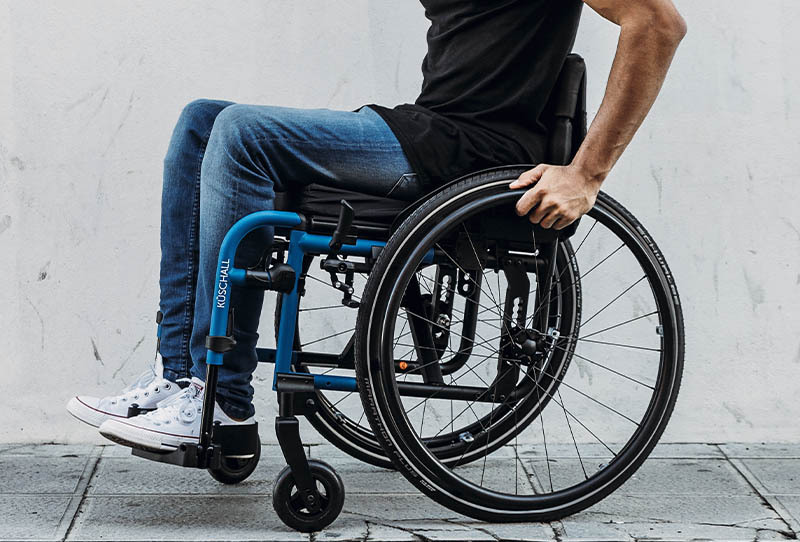 Improper use, supply or fitting of the wheelchair footrest can lead to lower back pain and excessive pressure on the buttocks or lower thigh area as well as problems with digestion where angles between torso and upper leg are too acute. Each of these problems can be attributed to the impact of incorrect posture being supported by the misuse. Posture is the way that you hold your body while standing, sitting, lying or performing tasks and often associated with bending, lifting, pulling and reaching. To have good posture means that you need to be aware of always holding yourself in a way that puts least strain on your back and associated muscles, ligaments or tendons whatever you are doing. Your spine has natural curves that forms an ‘S’ shape and when viewed from the side the cervical and lumbar spine have a lordotic (inward) curve, with the thoracic spine having a gentle kyphotic (outward) curve. How does the Wheelchair footrest promote good posture? As previously discussed good posture promotes the spines natural three curves but this relies heavily on appropriate pelvic and lower limb positioning without which the spine has to compensate for and loses its natural shape. The wheelchair footrest can be adjusted to compensate for leg length discrepancy or other variable to ensure that when feet are on the footrest weight is equally distributed. The wheelchair footrest is height adjustable so that appropriate angles can be maintained through ankle, knee, hip and pelvis. This also supports the user’s ability to place their feet flat on the footrest and in doing so their ability to push through their feet to both adjust position and support natural pelvic positioning. Interestingly it is also worth noting that for a female their feet being flat on a solid surface through natural postural position supports bladder emptying whilst urinating which is important to consider is the wheelchair user is also using a commode style device. 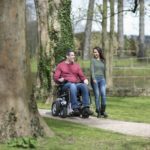 It goes without saying that if posture is supported this has a positive impact on the wheelchair users health and well-being, supporting tissue viability, reducing pain and discomfort to joints and associated muscles, which therefore enables the wheelchair user to engage in meaningful occupations. This further emphasises the importance of appropriate use of wheelchair footrests.